What experts say and think about inside sales and marketing / recruiting and sourcing. In a recent interview with eGrabber social selling academy, Flyn Penoyer has spoken about how over the so many years he has trained thousands of sales professionals about cold calling, lead generation and prospecting techniques. His techniques have always resulted in a triple digital growth in just a few weeks (285% in 3 weeks is the latest number for record). He now shares with us on how a simple thing like LinkedIn saved search can help you in improved sales conversions. LinkedIn® indisputably is the one of the largest databank of C level decision makers and an ideal environment for B2B prospecting. It lets you search for your target prospects based on a multitude of search criteria such as title, industry, company size and other demographics. 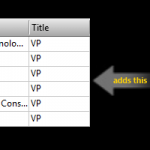 Sales professionals today have the flexibility of using several combinations of their search and build multiple sets / categories of prospect lists. While this is a good feature, what makes it better is when you use the saved search feature. 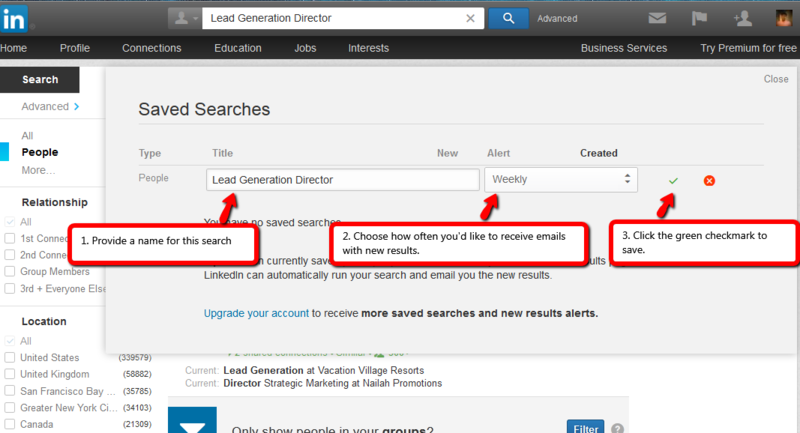 The Saved Search Feature in LinkedIn® sends matching profiles to your email inbox on a periodic basis. It’s like having lead-gen on automatic! Look at the simple 3 step illustration below and you will know what we mean. Let us try and search for “Lead Generation Director”. Select your preferences based on title, location and other demographics. LinkedIn® will display the results based on search criteria. Click on Save search in the top right of your results page. You will find it next to the settings icon. Give a name to your search. Set your preferences on how often you would like to receive email alerts pertaining to this search and save the search. Now the search is saved with the given name and LinkedIn® starts sending people’s profiles matching that search criteria to your mailbox. As soon as you receive search peoples profiles in your mailbox, use Account-Researcher tool and capture their business email address and phone number. Start reaching your decision makers on their business email and phone and kick start your business with them. Follow this simple method and improve your sales conversions. Happy Selling!! Start Download your 7 Days FREE Trial Now! Sales professionals spend over 40% of their productive time in following with their prospects. 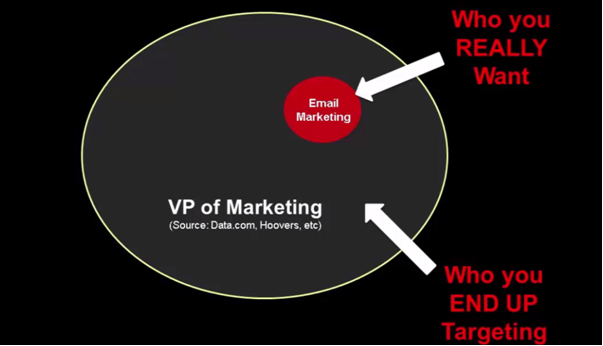 While the most popular media have been email and phone call, our experience shows that the hit rate is not as big as it should ideally be. So are there any new ideas out there? Tim suggests that you use innovative media to follow up with prospects. Apart from the traditional email and phone call, you should consider using media such as post cards, hand written letters, gifts, freebies etc that actually grab the prospects attention. And they are easy to do… online. He delivered specific, first-hand examples of how these systems work on the webinar. What if your prospect is going to buy in that next phone call? …How do you know? You don’t. 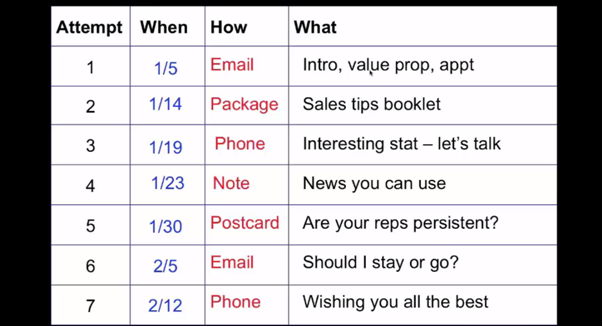 So, Tim recommends a follow up calendar to continuously engage with your prospects. He talks about the frequency, media and the message to be included. By following this calendar, sales professionals ensure that their prospects never go dormant. Tim took a dive into how this calendar was made and how it was best put to use, in the webinar. Tim tells you why it’s necessary to break up with your prospect… yes, you heard me, break up with your prospect. And he also tells you how to do it… without slamming the door shut… just in case they come back to you! The webinar also dwells on how you can rephrase their statements to reengage their prospects who normally do not respond to the traditional follow up content. Here’s just one example. When you have so little time, why prospect people who will never buy? – Fix the problem before it even begins. Start with a very highly targeted list. Clinton Rozario from eGrabber showed how it is easy to build a list of your Glen Garry leads using social networks and online profiles. He showed an automated tool which builds your list, once you identify your list of profiles. Sales is an Adventure,… Hope you got a toolkit? Many years ago I started my sales career selling beer and bottled water. Back then, my company was a distributor for a competitor to Perrier called Ramlosa. Ramlosa was a mineral water imported from Sweden, and they hired tennis star Bjorn Borg to be their company spokesperson to promote the product in advertisements. One particular day I happened to walk down the street I used to frequent, and saw the ‘Grand Opening’ sign for the Walken’s Cafe. A big sign saying ‘Grand Opening’ is a very good prospect for me so I went inside. As I stepped inside I saw a man standing in the rear of the cafe with his back to me. The cafe was closed, and there were no customers today. Just this guy with his back to me. I must have walked in quietly because he didn’t even notice that I had walked in. I waited a few minutes, and then politely cleared my throat with a polite – “ahem”. Then the person turned around and looked at me with a crazy looking stare that went right through me. At first glance I thought he looked familiar, but I didn’t say anything. I just stuck out my hand and introduced myself, and explained why I stopped in. About a minute or so into my sales pitch about beer, the man stopped me in mid-sentence and said, “Don’t you know who I am”? I told him that I didn’t, but did say that he looked familiar. Then he continued with, “Have you ever seen a movie called The Deer Hunter”? That’s when it hit me. I said, “Hey – You’re Christopher Walken”! “What are you doing here”? Christopher Walken told me that he came to visit his brother Glenn, and it was he that owned the cafe. After a bit more back and forth I walked out of Walken’s Cafe that day with a 100 case order of Ramlosa. I think back about my encounter with the Walken brothers whenever I think about prospecting for new business. Today, I think about cold calling as more of an adventure than anything else. I’m always looking for my next ‘Walken encounter’. How about you? Are you dreading the very idea of picking up the phone and making a cold call, or are you looking for your next adventure like me? If you are looking for adventure, you need to have the right tools. LinkedIn is a good source of leads for prospecting these days. With 300million people on it, you have lots of chances to have an adventure. 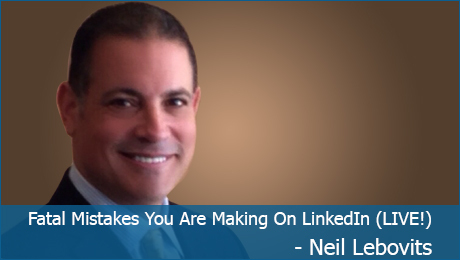 But one thing you do not get from LinkedIn is the phone number and email address of your prospects. Good news is, a tool like Account-Researcher can help you with that. And once you get on the call, you have 10 seconds or less, to earn and hold your prospect’s attention. How to do that is an art, and I’ve packaged that art into a Kit which you can get – its called the Gold Call Script Building Kit. You can get The Script Building Kit right here. And if you like both the Account-Researcher software AND the Gold call script Building Kit, you can get it for a $150 discount over here. Cheers to your next adventure! Lee W. Frederiksen, Ph.D., is Managing Partner at Hinge, a marketing firm that specializes in branding and marketing for professional services. Hinge is a leader in rebranding firms to help them grow faster and maximize value. Lee can be reached at LFrederiksen@hingemarketing.com or 703-391-8870. Things have changed immensely in the last decade for buyers of professional services. There was a time not so long ago when the phone book was it. Buyers had few ways to research service providers. Short of knowing someone at a firm (or knowing someone who knows someone), or asking for references from the firm, buyers were often in the dark. 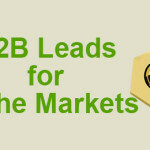 Today, purchasers of B2B services have the advantage of social media, particularly LinkedIn. Research reveals that 70% of prospects prefer LinkedIn as their social media platform of choice when checking out professional services providers before purchasing. 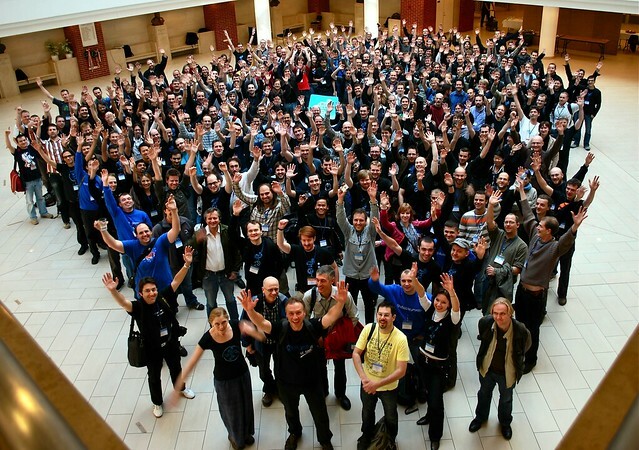 LinkedIn is growing — it’s up from 32 million users in 2009 to more than 300 million users as of May 2014. A recent study has shown that LinkedIn is the most used and most effective social media platform in the professional arena. Put Your Best Face Forward. 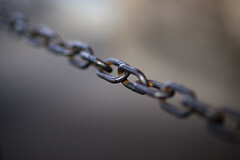 LinkedIn gives you a chance to connect as an individual and as a business. When prospects come virtually knocking, your profile and your company page must both impress. These are arguably as important as your firm’s website. Make your profile complete and specific. In your professional profile, mention your specific talents and contributions, as well as your company’s capabilities and the value it offers. You can tailor your Company page in a number of ways… showcasing different banner messages and images, and sharing content and updates with either all followers or a targeted audience. Content Promotion. Social media is all about sharing. Your marketing department is likely creating some pretty impressive content marketing pieces. By sharing this content, you grow the reputation and visibility of your firm. If it’s of high quality, your content will likely get passed along by your followers, as well as theirs, increasing your exposure exponentially. Share others’ content as well. As you share industry info, you’ll be a part of the buzz being generated. Become or Develop a Visible ExpertSM. Think of this as personal branding that has a range of benefits for the firm as well. With high profile experts on staff, you’ll attract prospects who follow industry trends and leaders. As your expert’s visibility and reputation grow, so will your firm’s. Partnering Opportunities. You can’t be everything to everyone. If you want to get involved in specific trends or technology but don’t have the expertise or bandwidth, LinkedIn gives you a great way to reach out to those who do. Find ways you can join forces to provide more services over a wider audience. You’re both likely to gain followers and leads. Industry Research. If you’re looking to get involved in another industry or specialty, keep an eye on the appropriate firms to gain insight. Follow trends, listen in on conversations, and read content provided by experts in virtually any field. You can also keep an eye on the buzz you’re generating, and see how your firm is perceived by other firms and LinkedIn members. If you’re not keen on how the conversation’s playing out, jump in—LinkedIn gives you direct access, helping you steer the discussion. Logging in to LinkedIn once a week won’t work. 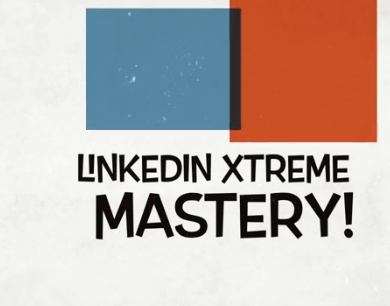 Like all social media marketing efforts, LinkedIn requires daily interaction. Keep your profile updated, seek out new connections, and actively participate in groups with relevant audiences. In short, stay engaged. Consistent engagement will pay off—you’ll strengthen online relationships and generate leads without ever leaving your office—or opening a phonebook. In this webinar Ivor Kellock explains & demonstrates the importance of connecting your prospecting with pipeline building that leads to more closed deals & profit! Research shows that 57% of the sales process is already completed before a company even calls a sales rep!. When do you get the call? Ivor demonstrates some basic social selling skills & introduces a key tool in this process eGrabber LeadGrabber Pro for enterprise social sales prospecting that quickly builds pipeline. Neil Lebovits, industry guru and executive, is the founder of The Dynamic Sale. He teaches Owners / Managers of Recruiting firms, the secrets & systems that he has developed and harnessed while working himself up over his 20+ years in the industry. Neil was a successful Global President on the Global Executive Team of the world’s largest Staffing & Recruiting Firm during the recession times. 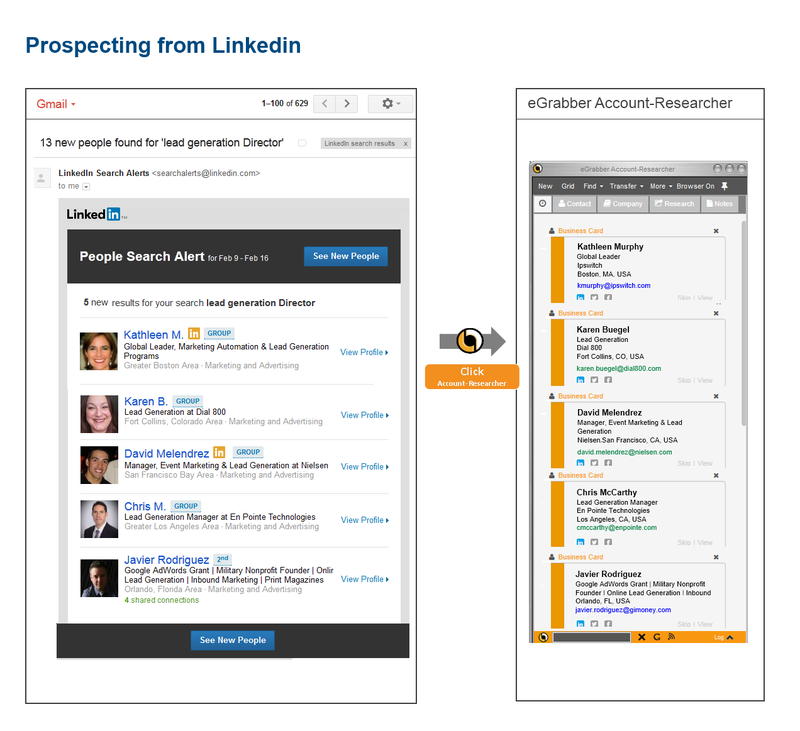 We will also be giving away a Prospecting software for LinkedIn and other social networks.